Schaffer’s Mill, formerly known as Timilick, is a private golf course community. 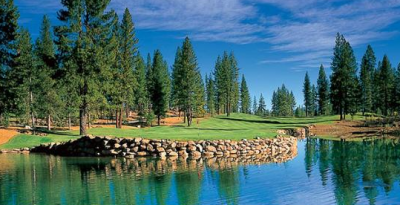 Located at the edge of the Martis Valley across from the Truckee Airport and between the slopes of Northstar and downtown Truckee. Enjoy the beautiful clubhouse along with other great amenities including; a swimming pool, locker rooms, spa and fitness center, restaurant, bar, as well as a community gathering lawn. Schaffer’s Mill, is at 475 acre community that features neighborhoods of custom and semi-custom single-family homes. Whether it be intimate 2,200 square feet homes or grand estates, this community can accommodate families of all sizes. Schaffer’s Mill real estate includes townhomes that range from about $900,000 to $1,500,000 and single family luxury cabins that range from about $1,400,000 to over $2,000,000. Lots are mainly sold through the developer, although some are resale lots.